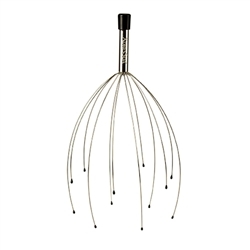 Our Handheld Scalp Massager is engineered to awaken your senses and stimulate nerve endings in your scalp and throughout your head. It may also increase circulation, stimulate hair growth and reduce stress. 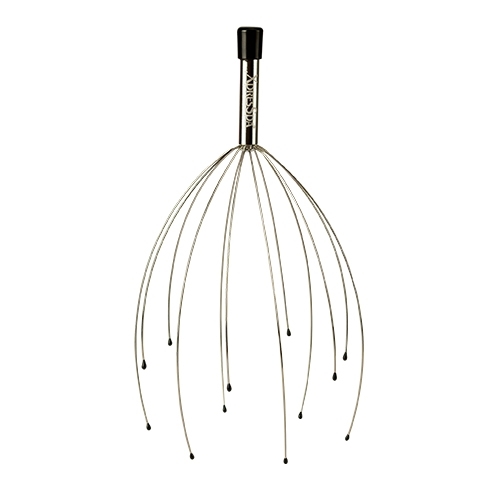 Hold the Scalp Massager by the handle with metal fingers facing down. Gently lower the Scalp Massager onto the crown of your head. You can stimulate all areas of the scalp by slowly raising, lowering and rotating.